Was born in California, but raised in Texas—says her experiences with racism as a teenager inspired her to help other people feel included. Attended Spelman College where she received her degree in political science and international relations with the goal of one day working in government in Washington, D.C.
During her junior year, studied abroad in South Africa and volunteered abroad in Costa Rica. After returning to the U.S., she decided to switch her focus from political science to communications and media. 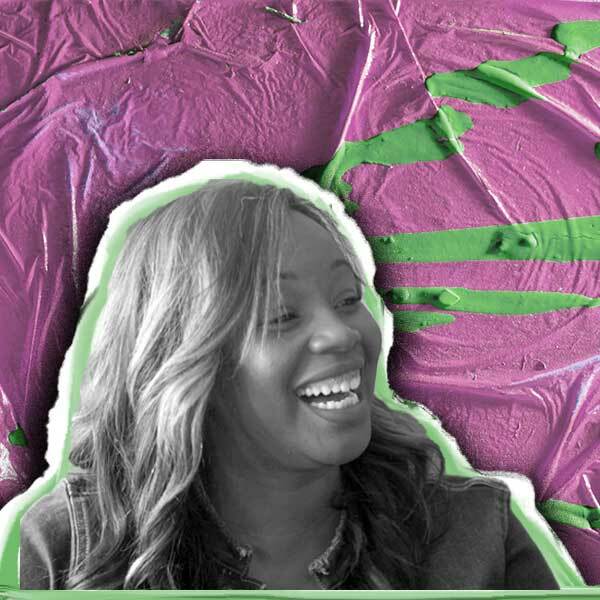 Her first internship out of college was working for MTV where she was able to work on projects with VH1 and BET—says this is what first sparked her interest in a career in diversity. Got a job working for Viacom in New York City as the Diversity & Employee Resource Group Project Manager. Moved to Atlanta, GA to start her family and worked for Cox Communications for a few years. After being an active user on LinkedIn promoting her work in diversity, Facebook reached out to her and offered her a job—she is now their Global Diversity & Inclusion Engagement Leader. I manage Facebook's employee resource groups making sure everyone has a voice and feels included. No day is ever the same. My job is definitely not a 9-to-5 because it involves solving really big problems. You can find me either on the road traveling and talking to people, celebrating cultures, and helping people find their voice; or, I can be on the Facebook campus teaching inclusion and supporting employee activities. I manage all of our employee resource groups that are all structured around identity, so employees can feel like they have a voice and feel included. You have to have tenacity, perseverance, and grit. In order to be successful in media, you have to really get to know people and understand the benefit of good relationships. If you are authentic and empathetic, it will get you far. Don't be shy and reach out to mentors and ask for help. Know how to use social media and make it work for you. Utilize the professional resources it gives you to network, make connections, share what you are doing are in your career, and explore new opportunities. "Diversity can be messy. Is it really that important?" Diversity is challenging. It would be really easy if everyone thought the same, but they don't. Working in this field, there is a lot to overcome, whether it is convincing people that it is worthwhile to talk about or making sure that everyone feels included. I try to find the beauty in intersectionality and how different groups can work together for a common purpose. You have to be open to all people and their perspectives. It's all about behavior change, which is always hard won. After my study abroad experience, I switched my focus from political science to communications and digital media. I had to refocus a lot of my goals, but I tried to stay open to opportunities and let that guide me. I struggled with this a lot in my high school years. I felt like I didn't have a voice. I just had to figure out where I fit in and belonged. When my family moved to Texas, I faced a lot of racism. I eventually realized I didn't want to be a "victim", so I started the first minority heritage club at my high school.